We all see the saving tips and how to turn your dollar into a million plans all over the Internet. Rather they are get rich schemes or legitimate savings tips and ideas, they are all over the place. In today’s world of credit it’s easy to see why. So many individuals are actually going further in debt to pay off other debt. Which is ridiculous, however we do have a Government that shows that it is perfectly all right… No, I am not going to start giving ideas on how we can fix our Federal Government’s current financial predicament. Although, in our fraternity we do have a similar situation—on a much smaller scale that is. Countless times I have talked to brethren across the nation and even in different countries to find one problem that we have in our society. Our lodges are struggling to provide for the communities they serve, the buildings they use and sadly the brethren who sit inside the lodge. Every lodge has a minimum amount of funding they have to have in their given financial institutions. It could be a zero balance or it could be ranging anywhere from $1 to $5,000 dollars. Regardless of what they have in the account, there is a troubling situation when our lodges are having a hard time coming on top of their overhead. Many point the finger at the loss of memberships and lack of petitions. When the bills start piling up, are those really the problems we need to identify? I’d like to make a couple suggestions on where we should focus in order to be sure we have enough money in our lodge for our usual expenses, emergency expenses as well as expenses for new programs. First, for those lodges who have lost members, yes this is tragic, however it doesn’t mean that your lodge can’t come out on top. We may be suffering from fewer members than in previous years; however, our fraternity has lasted through out the centuries despite the challenges set against us. If you have a masonic body made up of fewer than 10 members who regularly show for stated meetings, perhaps its time to consider consolidating with other local lodges. Bills would be shared amongst a different lodge. We can always learn from other lodges experiences. We can be a part of history and create a newer lodge in the community and create fresh ideas out of the rubble of two or more closed lodges. The phoenix of your community. 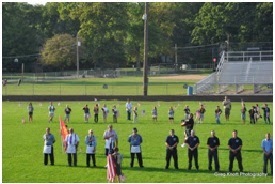 A larger community to reach out to and possibly receives more petitions. With a larger body, the sometimes-lacking ritual can be restored without more than one person sharing roles. These are just a few benefits that our local lodges would experience. There are a lot more and together we can contemplate these. I just suggest our WM’s and PM’s and officers alike consider these when sitting at the trestle board trying to save their lodge. For those lodges that are not lacking in membership, but are still having a hard time paying the bills, let me ask you a simple question. What is your lodge’s primary means of income? If you answer with your member’s dues, are they high enough? If they are low enough for a member to pay out of pocket change, perhaps you should increase them. I have talked to brethren across the country about their dues and they all seem to agree about a months worth of pay should be average for the year. Now, of course this all is depending on your location and the average income for a household in your community. It is up to your lodge to find a medium with your members on what their membership is worth to them. If your member’s are already paying a considerable amount for their dues perhaps it is time to look at your expenses. If you have a large enough body of members and they are paying a substantial amount for dues, where is your lodge’s money going? What programs is your lodge participating in that could use some readjustments? I suggest you write down all of your bills in order of precedence. First and foremost you need to pay overhead. That is the most important bill, there would be no building without it. Overhead consists of the usual, Property Tax/Rent, Electricity, Gas (If you have it) Heating and A/C. Then write down the programs your lodge is funding in order by expenses, The Most expensive first. Once you have all your outcome money written down in order of precedence, start looking at the programs and figuring if any of the programs can be either scrapped, consolidated or you can provide less money for any of them. If there is a program that seems to not be going anywhere, and is more costly than producing results, GET RID OF IT! These types of programs are toxic to our society and more damaging to your community. Yes, I understand your lodges “Christmas Bike Program” is a great and noble cause, it works in other lodges and your hoping it will eventually become worth the money spent and the time invested. Well, until that time don’t fund it. It is important that your lodge stays above water or else it wouldn’t be very beneficial. Refocus your lodge’s money through the programs. If you are spending a substantial amount of money on one program but not another, ask why that is. It could be that one program legitimately needs that money dedicated toward it. It’s also possible that some of those funds are not functioning the way they should. The solution to this is rather simple; pull some of those funds and divide them amongst other programs that may need more attention. If none of this helps get your lodge back above water, there are other solutions to the funding issues. Do you have a lack of obedience in your lodge? Are members causing distractions during degree work? Fine them. There are plenty of lodges across this nation who are known to cite a fine toward their members if they are being less than productive during work. 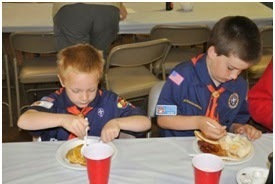 It is a simple way to earn money in the lodge and it helps instill discipline. A win-win if you ask me, although I really do not want to be the member that has to pay the fine. Finally, there is one more solution I have in my toolbox that we can use across all of our lodges. It will, possibly, cost some money at the beginning if your lodge is lacking in maintenance. However, turn your lodge into something that could bring money in from the community. When I was raised, I was raised in the very lodge that accepted my family and friends into their fellowship hall for my graduation/going away party when I was 18 years old and heading off for the Army. Flushing Lodge #223 rents out their fellowship hall to members of the community for a decent price. It is a great way to bring in some kind of external revenue to help alleviate the woes of the recession our country and world is going through. Not to mention bring in potential petitions. Once you get your lodge up to standard and make it more of a sellable product you can become more visible in your community. I will not take any thunder away from fellow Midnight Freemason contributor W.B Greg Knott. He is working on his series of “Increasing Your Lodge’s Visibility. It is a great series and beneficial to lodges looking for a way to breathe again in the recession. You can find his article here. With these set in place our lodges can become the shining light in our community, they once were. A community coming together for the better, our Craft of Freemasonry upstaging the conspiracies and allowing the public to see us in a different light. Now that really is a Win-Win. 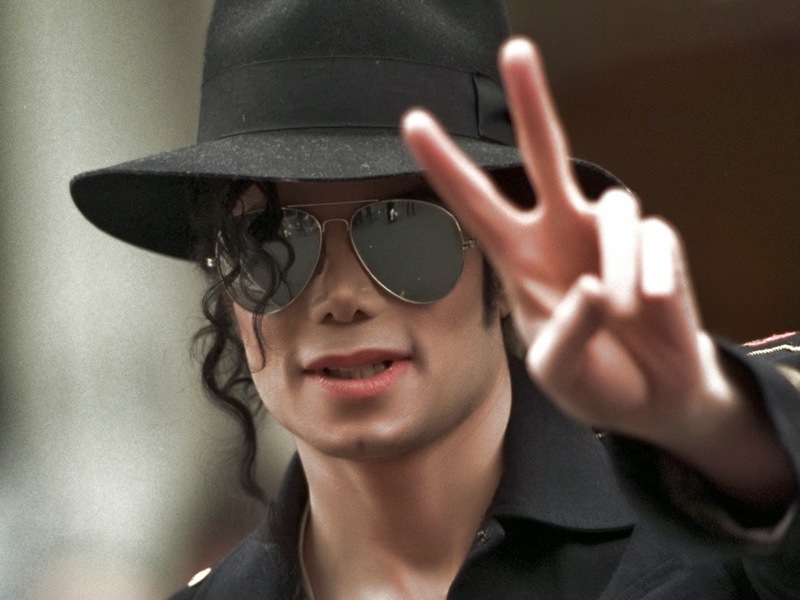 On June 25th, 2009, the world received some shocking news--Michael Jackson, the "King of Pop" was dead at the age of fifty. Once the shock of the news subsided, what the world wanted to know was why and how the pop star came to such an untimely end. And all eyes began to focus on Michael Jackson's personal physician--Dr. Conrad Murray. Without question, Michael Jackson was using some very powerful drugs, including the surgical anesthetic propofol administered by Murray. Murray ultimately was found guilty of involuntary manslaughter and sentenced to four years in prison--he was released after serving two. During the trial, the above photo was released by Murray's attorney, and the press went wild with the news that Murray was a Freemason. According to the information provided, Murray is the Grand Medical Director of the United Most Worshipful Scottish Rite Grand Lodge of Texas, A.F.&A.M. This evidence satisfied the press of his Masonic credentials, and the story was repeated over and over again that Murray is a Freemason. But most Masons will see the problem almost immediately with both his title and the Masonic organization he belongs to. There is simply no such title as "Grand Medical Director." But that's not all . . . The United Most Worshipful Scottish Rite Grand Lodge of Texas, A.F. & A.M. is bogus, too--it is not recognized by any official Masonic body and isn't associated with any Grand Lodge of Freemasons. It is certainly not affiliated with the Grand Lodge of Texas. 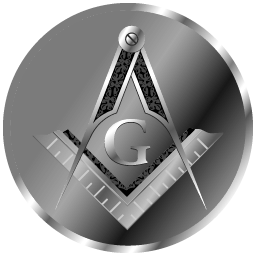 It is not affiliated with the Most Worshipful Prince Hall Grand Lodge of Texas. And it is unknown to the Scottish Rite of Texas. The United Most Worshipful Scottish Rite Grand Lodge of Texas is one of many phony Masonic organizations that are out there today (or what Masons would call clandestine organizations). So back to the original question. 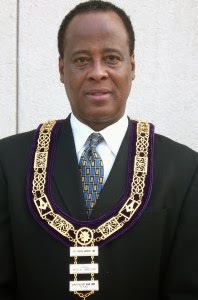 Is Dr. Conrad Murray a Freemason? Every school kid learns March 17 is the day we celebrate the life and deeds of Maewyn Succat, the second Bishop of Ireland, who is better known as Ireland's Patron Saint, St. Patrick. Those same school kids also learn Patrick's great triumph was chasing the snakes out of Ireland. It's true, there are no snakes in Ireland; however, that's more likely because there have never been any snakes on the isolated island. Captured and taken into slavery as a youth, Maewyn, a.k.a. Patrick, escaped to the European mainland. While a slave he had converted from paganism to Christianity, and once on the continent, he sought refuge at Marmoutier Abbey, a French monastery. 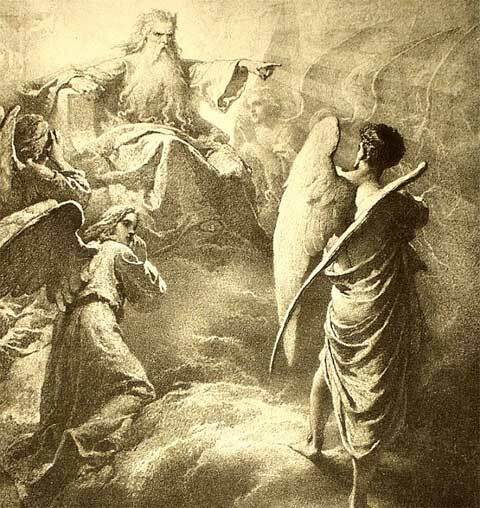 There, he accepted his calling, which was to convert other pagans to Christianity. With that, he returned to Ireland and became very successful at making those conversions. In a manner of speaking, the "serpents" he figuratively chased from Ireland were the pagan Druids, not actual reptiles. After a successful ministry, Patrick retired to County Down, where he died on March 17, 461 A.D. Although never officially canonized by the Catholic Church he is, in fact, recognized as a saint; and today we celebrate the Feast of St. Patrick, or St. Patrick's Day, on the anniversary of his death. However, even in Ireland prior to the late 18th century, St. Patrick's Day was not that big of a deal. The same was true in North America, where the churches in Boston, with its large Irish population, didn't recognize the day until 1737. "So, what," you may ask, "does this have to do with the Freemasons?" About twenty years later, during the French-Indian War, a young Masonic Colonel recognized the morale among his troops was low and decided they needed what today we would call some "down time." It was March, at the end of a long, brutal winter and many of the troops were Irish. It didn't take the Colonel long to figure out the best day to declare a general holiday would be St. Patrick's day. The respite from the ravages of war and winter went over well with the troops, some of whom were said to celebrate with a "hogshead of rum." Washington is credited with establishing the first instances of a secular celebration of St. Patrick's day, a tradition which caught on and has grown to become a major event today, with the hogshead of rum long replaced by freely flowing green beer. When it comes to our everyday life, we seem to become defined by where we have come from and eventually where we end up. What we seem to neglect, day after day, is where we are now. At the base our existence in this world, we are all born into it and we all leave it. Dust to Dust, Ashes to Ashes. But what should define us, what should motivate each and every one of us is the “Here & Now”. Living for today. Existing in the “right now”. This is not meant for one to discount your past or fail to study history, but we should not dwell in the past. This can lead to overwhelming depression and more importantly, forgetting to live for today. By being aware of history one can appropriately prepare for or alter the future. But we must be sure not to dwell in fear of the future as well, lest we be consumed by anxiety and miss what is happening right now. This concept can be as simple as never moving past the guilt of a lost loved one, or feelings of, “if I just would have… maybe then this would be different.” Or expecting an important phone call later in the day. You waste all day waiting for that one call, losing any possible productivity. I know what some will say, “but it is an important call and if I miss it then [this] may happen." That is living in the future. 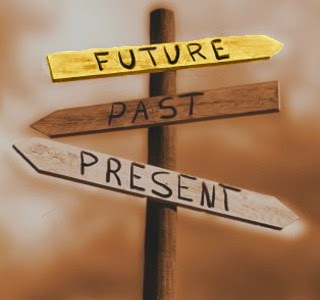 Preparing for something in the future is part of the Here & Now. But sitting by the phone and wasting the day is not. Some may be asking, “what about when the phone rings?” Simple, answer it. Because the phone is ringing in the Here & Now. You don’t hold the phone to your ear all day, waiting for it to ring. To the people that live Here & Now, time is precious. They do not foolishly ignore their own past or fail to prepare for the future, rather they are aware and alive in the present and look forward to the future. Living in the past or in fear of the future prohibits one form being spontaneous or making choices from the full spectrum of life. A spontaneous person is liberated, making and accepting responsibility for personal choices. There is no compulsion to live a predetermined lifestyle and instead faces new situations and explores new ways of thinking. They do not have to respond in predetermined, rigid ways, but can change their plans when the situation changes. Living in the Here & Now gives you a zest for life, allows you to enjoy your labors, play, food and other people. If one is full of guilt or envy, they can not appreciate their own accomplishments or those of others. Life, or your journey, can be destroyed by focusing on past memories or future expectations. Those that reject this awareness and spontaneity also reject the responsibility for shaping their own lives. Early Egyptian’s believed that a circle was the symbol of eternity. A sign that life, happiness, and love, have no beginning and no end. 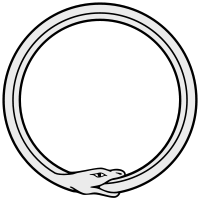 This is often depicted with the image of a snake eating its own tail. The smallest part of the snake is the head and you can not see the end of the tail because it is in its own mouth. The majority of the picture is the length of the body of the snake, the in-between. The beginning and the end are relatively irrelevant. This is as much important to the individual as it is to Freemasonry. From the onset of one’s beginning in their pathway to enlightenment, first a candidate must fill out a petition, that is a spontaneous act. Then in each of the three degrees, do we not circumambulate the lodge room on a journey, learning the lessons of our Craft along the way. In terms of the time after attaining the sublime degree of Master Mason, the journey simply does not stop. We are told to continue to investigate for ourselves the deeper meaning and the best way to properly use the tools of a Speculative Mason. 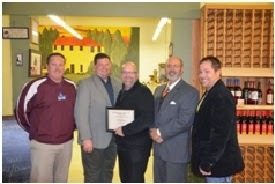 Masonry is not something we can take off with our suit coat and put upon the shelf unit the next meeting. It becomes a part of us in our every day life. Much like the rough ashlar, it never truly gains perfection, for if it did, you would have no need for Freemasonry, and Freemasonry would have no need for you. Figuratively, once the stone is perfect, it leaves the Mason’s hand and is set into the wall, never to be altered again. Remember from whence you came, strive to be better and meet your goals at the end of the day, but always remember to pay attention to your journey. For that is where the real experience and bounty of a Master’s Wage lies.